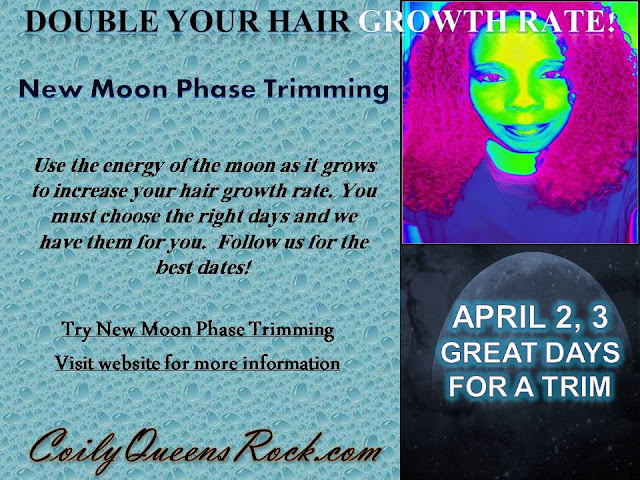 Lots of ladies are growing longer hair by trimming their hair during high energy days of the month. 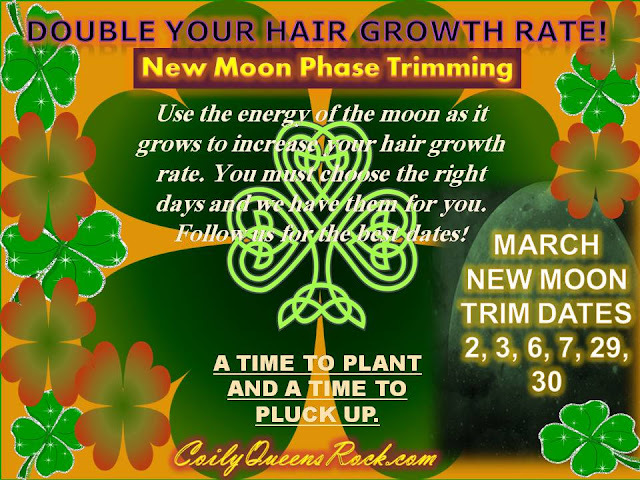 Is it time for your trim? If so, try New Moon Phase trimming. You have to trim anyway to maintain healthy ends. Hair is partly made of hydrogen and oxygen. As the new moon grows into a full moon it draws fluids upward. We use that energy to increase hair growth. The energy is potent during specific times of the month. You will find that different sources vary in the best days to trim each month. I've had great success choosing my days over several years. I have used this to increase my hair growth and I've had many others tell me, my dates work for them. You have to decide for yourself. How do I choose my dates? Based on the lunar calendar, how the moon aligns and most importantly by Christian discernment. As a Christian, we acknowledge that all power comes from God All Mighty. We are not worshiping the sun or moon. We are using its power. The same as we need the sun to survive in our body here on this earth. We are not chanting nor casting spells. We are using all sources God has created for us. Same as the farmer knows when to plant and when to pluck up.